Do your children need a cute little gift for the teacher this year? 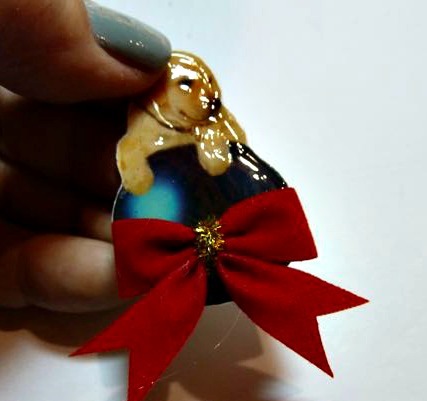 Maybe you would like to make something special for a friend or co-worker. If you are like me you get lots of cards in the mail and never throw any away. They are just too cute, especially the puppies, kittens and other cute animals. 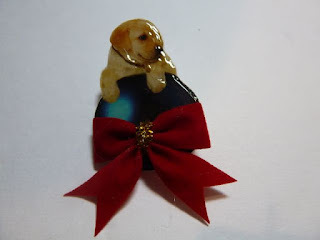 So this year, I grabbed a few simple supplies and made adorable a sweet puppy card brooch. They were an immediate hit. I mean who doesn’t love puppies or kittens? 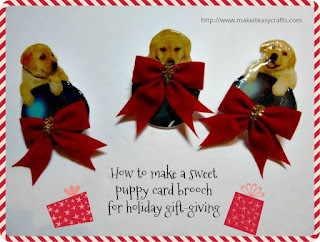 You can make some too and they cost practically nothing so when you need a few simple gifts they very budget friendly. Simply look through old cards or new ones that you can pick up at the dollar store, or even samples you get in the mail. Choose a small animal image, cut out and create your brooches. 1. Find your image. Cut out your image. 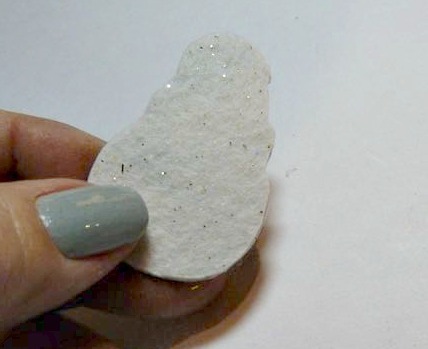 Use some tacky craft glue to attach the image to the stiffened felt and let dry. 2. Place your prepared image on some waxed paper. Do not shake the ModPodge dimensional magic or you will have bubbles form. 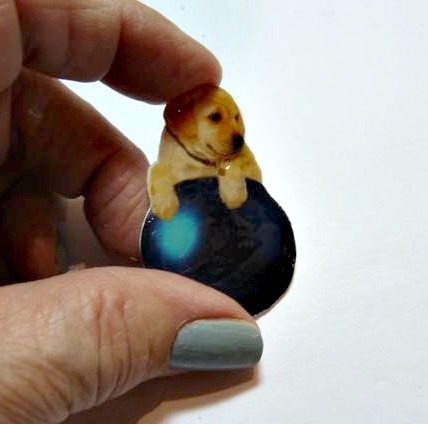 Use the ModPodge dimensional magic to cover the image right up to the edges. Let dry for several hours. 3. Now, add another coat of ModPodge dimensional magic up to the edges as you did before. Let dry completely. 4. 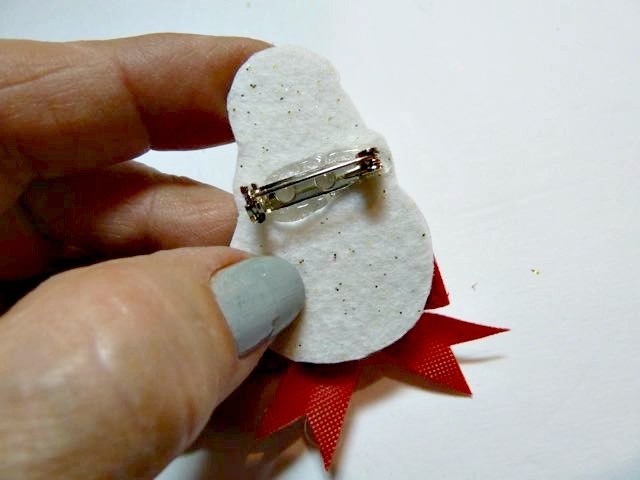 Using the hot glue attach a little ribbon to the front of your brooch. 5. Add a pin back on the back. We hope you enjoyed this simple and easy craft tutorial. This is a super kid’s craft. Kids just love when they something for their teacher or Grandma! Visit Make it easy crafts again for more fun and easy DIY crafts! And please follow on Facebook, Pinterest, G+, twitter, and bloglovin. We love comments. You are so creative Crystal! Too cute! Thank you! Merry Christmas!